Hi-Fi cabinet with 4 modular tinted glass shelves, metal frame with epoxy paint coating. Specifically designed for heavy, high-end equipment. This new Stäbbl HiFi stand by Norstone has been created with the most exacting audiophiles in mind. It has been specifically designed to eliminate and absorb the vibrations produced by Hi-Fi equipment and speakers. All of the shelves are separated from one another by aluminium cones and damping inserts. 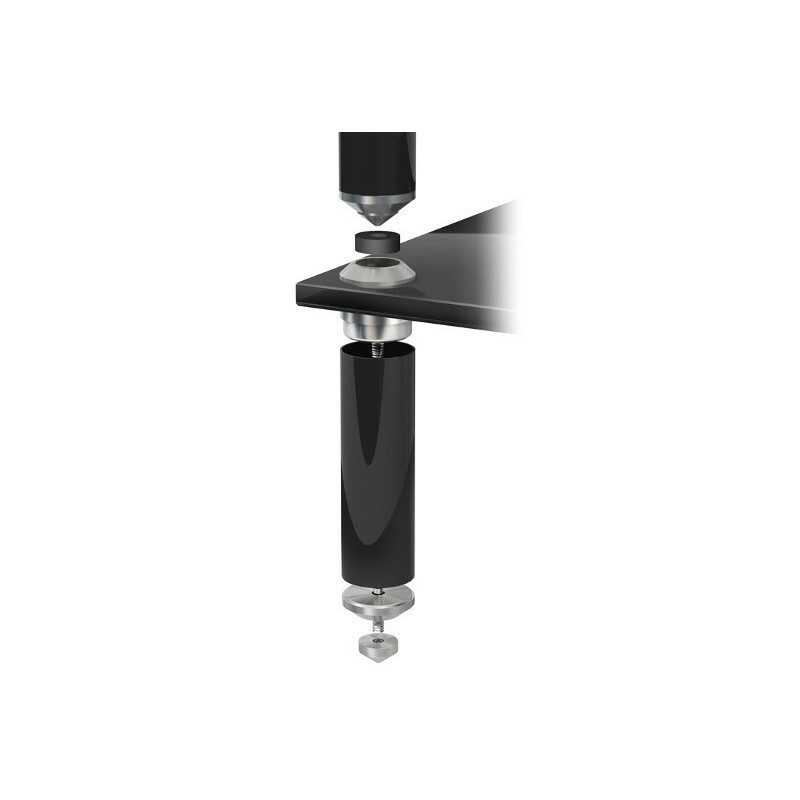 They are also made of 15mm-thick glass, which significantly contributes to the inertia and stability of the whole unit. 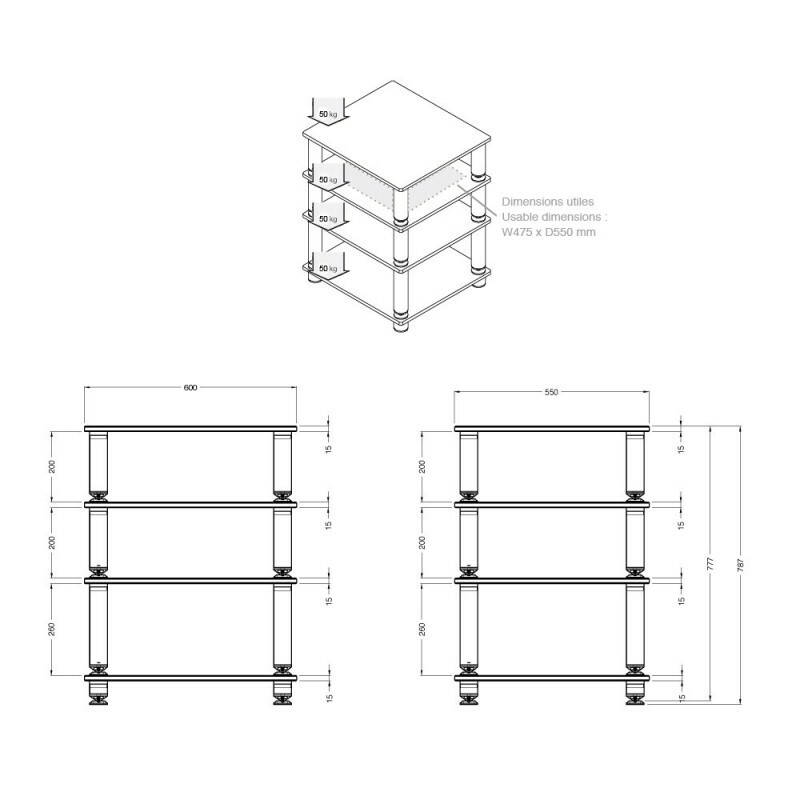 Each shelf can carry up to 50kg in weight! 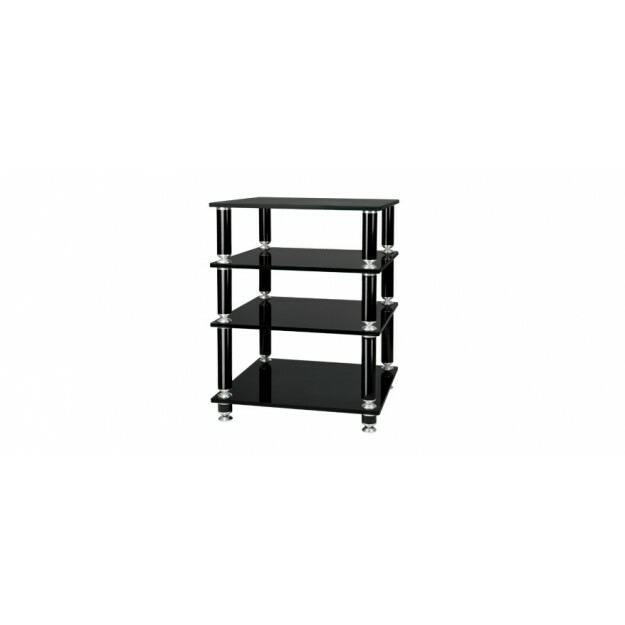 It can be positioned lengthways or widthways to accommodate equipment up to 60cm deep. The production quality is remarkable and the value for money is equally impressive.